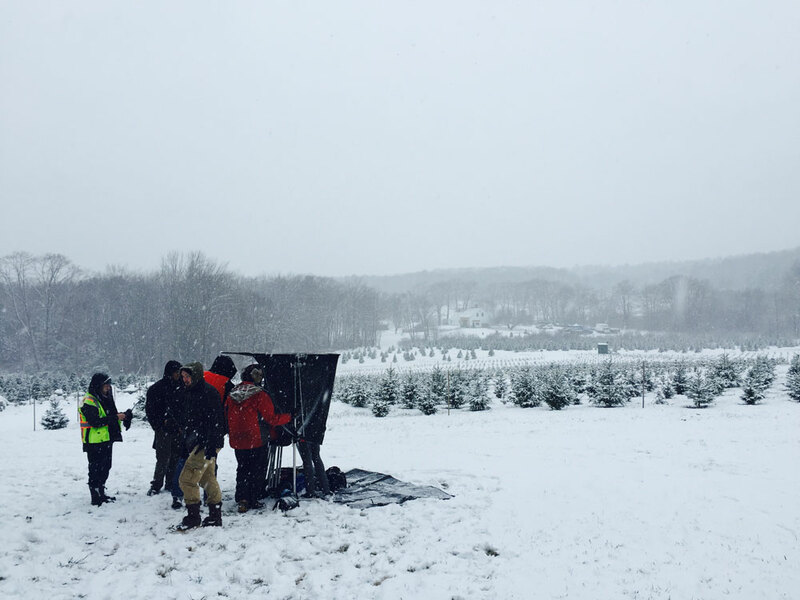 Hollywood moment: snow started falling on cue as the team filmed at a Cape Elizabeth tree farm. Photograph courtesy of Michael Nickles. Michael Nickles started working in movies in the mid-’80s. As an actor, he landed a variety of roles (most memorably, perhaps, as Jim Morrison in Wayne’s World 2), but he’s lately focused on writing and directing. 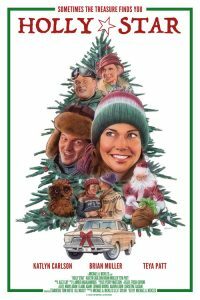 For much of his career, while working on horror flicks, animated kids’ movies, and award-winning docs, he’s also toiled away on a script for a holiday rom-com called Holly Star. The story — about a twentysomething puppeteer who moves home during the holidays, runs into an old flame, and embarks on a treasure hunt — was supposed to be set in Chicago. Then, a few years ago, Nickles moved from Los Angeles to Saco to help out his parents, who’d retired there. It was to be a temporary arrangement. “Now, we live here by default,” he says. “It just kind of happened.” Soon, he started thinking of Holly Star as a film set in southern Maine. “Coming here was kind of necessary,” he says. “It felt like I’d rewritten the movie thousands of times, and I didn’t have any life left in me for it. Reimagining it for Saco-Biddeford brought new creative energy.” He wound up with a script chock full of local attractions, and two years ago, he shot most of the movie in a few weeks in December. 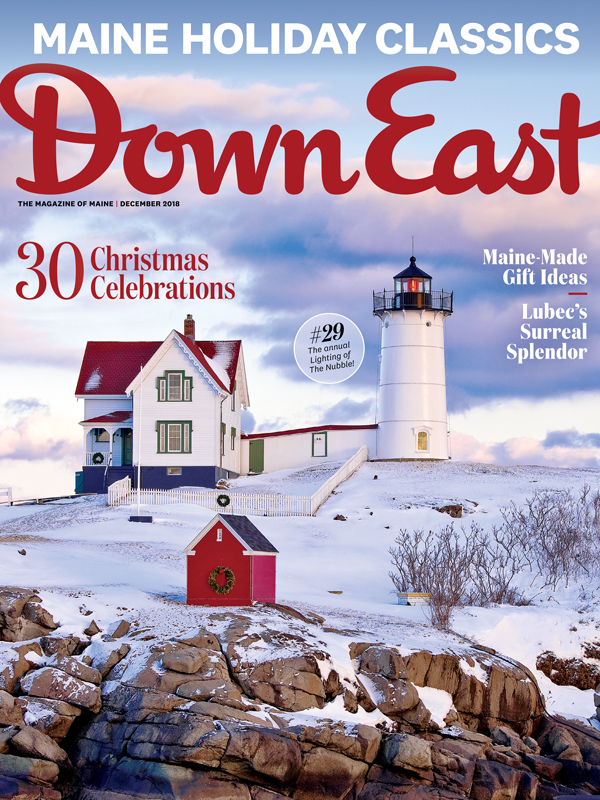 It comes out this month, just in time for a Holly Star-–-inspired holiday swing through southern Maine. Most of the action — from snowball fights to close calls with heating-oil trucks — plays out around the twin cities. Or rather, around “Winter Harbor,” as a prop sign at Saco’s Amtrak station announces in an early scene. That’s not a reference to the Down East hamlet — it was the name of a 17th-century European settlement at the mouth of the Saco. That way, neither of the chummily competitive towns would feel like they got short shrift, Nickles says. Stroll city streets on both sides of the river this month at a holiday-themed edition of the Biddeford + Saco ArtWalk on December 7 and at the Saco Holiday Festival and Parade of Lights on December 8. Opened in 1927, The Palace Diner (18 Franklin St.) is Maine’s oldest diner and a cherished Biddeford favorite. Nickles filmed it all aglow at night, when it’s usually closed. “I remember telling my cinematographer to think of Edward Hopper paintings — get me that classic vibe.” If you duck in for coffee and a bite, though, don’t try ordering whoopie pies, as Nickles’ protagonists do. The 15-seater diner doesn’t actually serve Maine’s official state treats — Nickles sourced those from South Portland’s Cape Whoopies. Sub a stack of Palace’s famously fluffy flapjacks. “Initially, I wrote the skating scene to be on a pond,” Nickles says. “But then there was discussion of people falling through the ice and of hauling a ton of lights into the woods somewhere.” The problem was solved when he saw Kennebunk’s Waterhouse Center (51 Main St.), the open-sided pavilion that turns into a rink every winter. “Indoor skating usually doesn’t look very romantic,” Nickles says, “But that rink gave us an outdoor vibe — and without having to worry about anyone falling through.” The night they shot, the wind chill was below zero, but some dozen hearty extras stuck it out. The main character, Sloan, gets a job at a Christmas tree lot, set in Biddeford’s riverside Mechanics Park. “Probably 10 times a day, we’d have people wander into the shot and ask how much something cost,” Nickles recalls. In one scene, Sloan helps out at a tree farm where real-life visitors actually can buy trees. “My script literally says that she drives to the farm and a magical, perfect snow starts to fall,” Nickles says. “The day we were shooting, that’s what actually happened — it never works out that way.” The venue was the Old Farm Christmas Place of Maine, in Cape Elizabeth (1148 Sawyer Rd. ; 207-799-0096), where you can cut your own (or not), hop a wagon ride into the fields, and chug hot chocolate and cider.